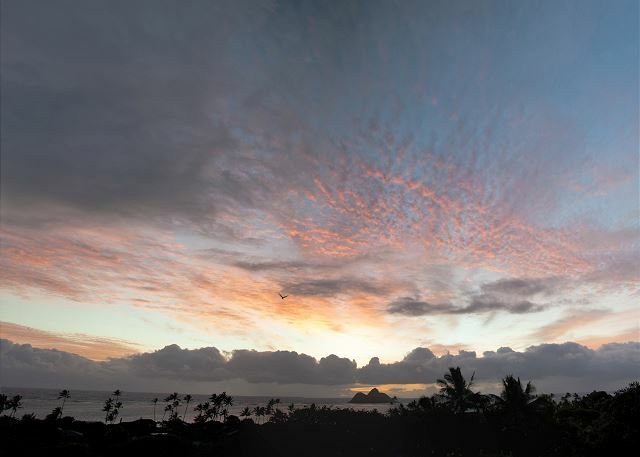 Wake up and watch the sunrise behind the Mokulua Islands from the expansive lanai of this large Lanikai home. 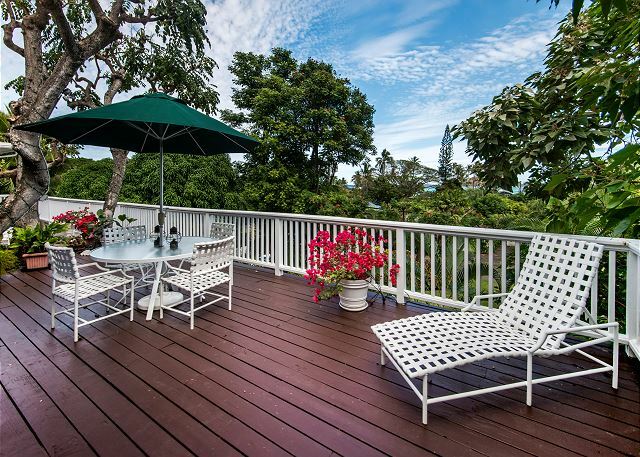 With the deck built around a fully mature tree, the deck and home are abundantly shaded. The upper level main floor has the kitchen, Living Room, Dining Room, Master Bedroom, 2nd bedroom and shared bath. 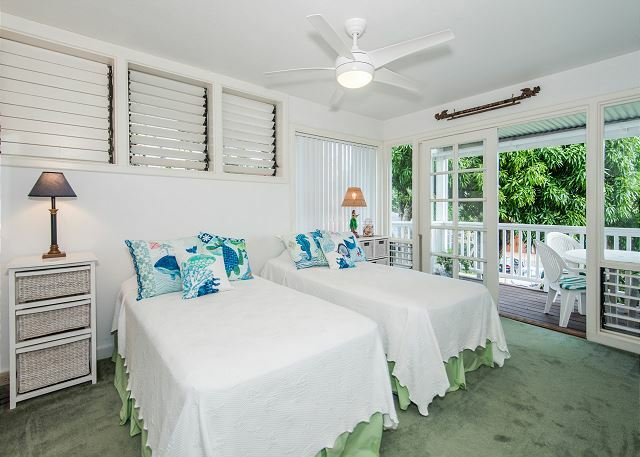 Downstairs is the 3rd bedroom and bathroom which comfortable sleeps 6 people. 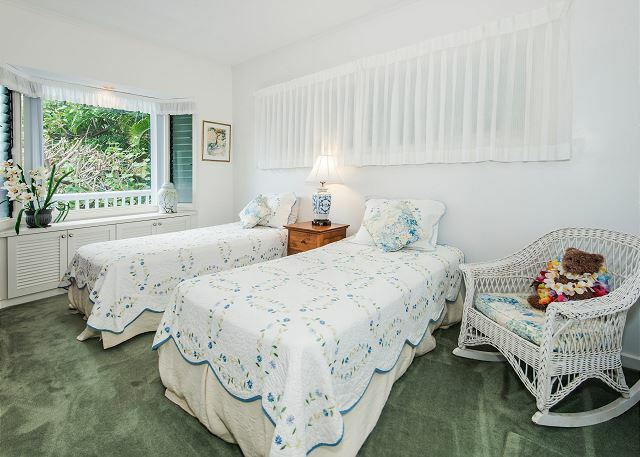 The twin beds can be converted into two additional king size beds. Whether you’re cooking in the kitchen or grilling on the lanai, enjoy fresh herbs to compliment your dinner from the automatic drip feed herb garden. 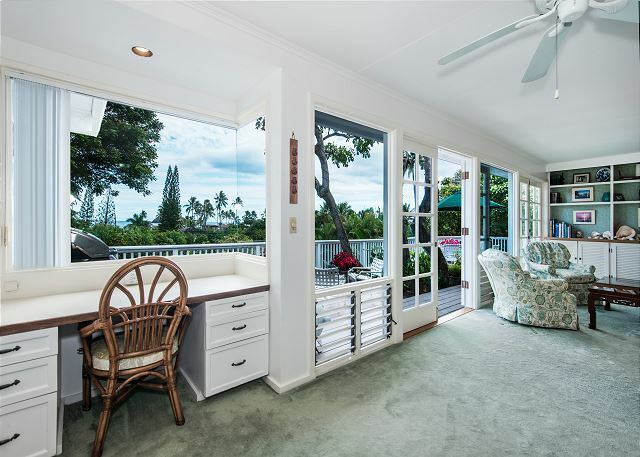 Even though there is no air conditioning, the French doors and jalousie windows open the home up and allow for the breeze to flow through the home. At night the outdoor ambient lights create the perfect atmosphere to entertain. There is a large backyard, perfect for lawn games and for children to play. 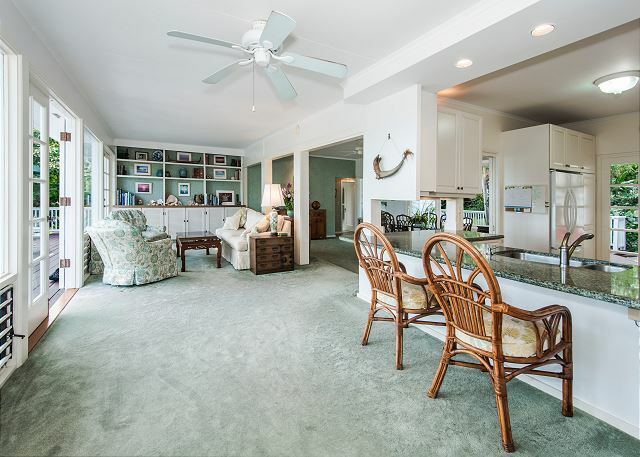 Located in the elite neighborhood of Lanikai, of Kailua, Oahu, this house provides easy access to many outdoor activities such as, jogging, snorkeling, kayaking, boogie boarding, surfing, wind-surfing, and hiking; a perfect home for those seeking adventure! 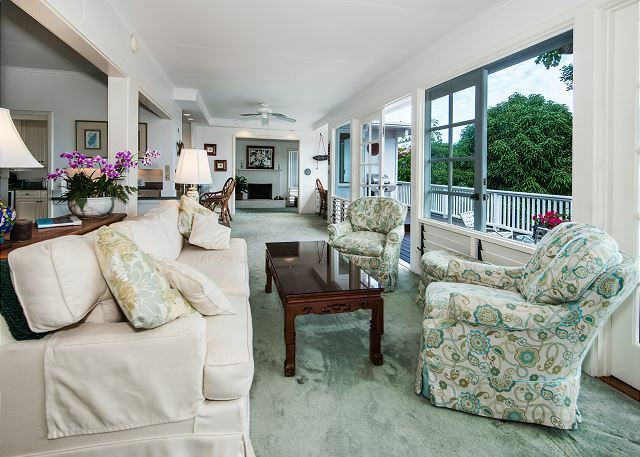 This home is just a stroll from the world renowned Lanikai Beach, with soft white sands and pristine turquoise waters. 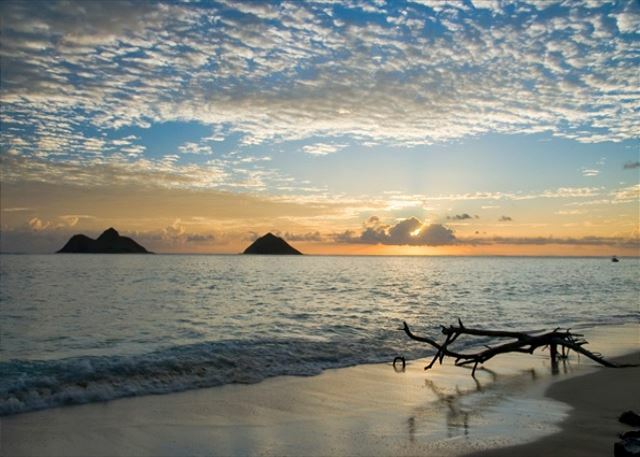 The small beach town of Kailua offers many boutiques to browse and places to dine. 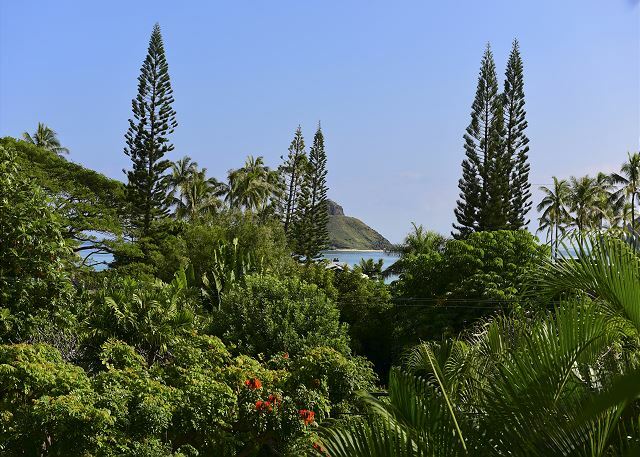 With the perfect location and exquisite view the LANIKAI OCEAN TREE HOUSE, is a hidden treasure! This property requires a 7 night minimum booking. Our stay at lanikai ocean tree house was nothing short of amazing. 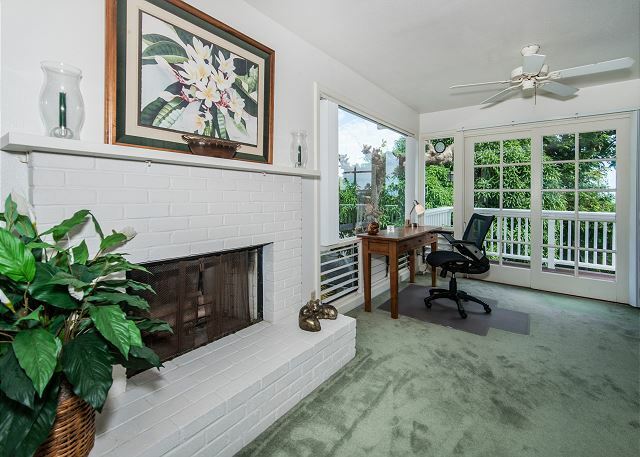 The house is so cozy and comfortable it felt just like home. Everything in the house is in good working condition and the kitchen is stocked with all the cookware you could ask for. 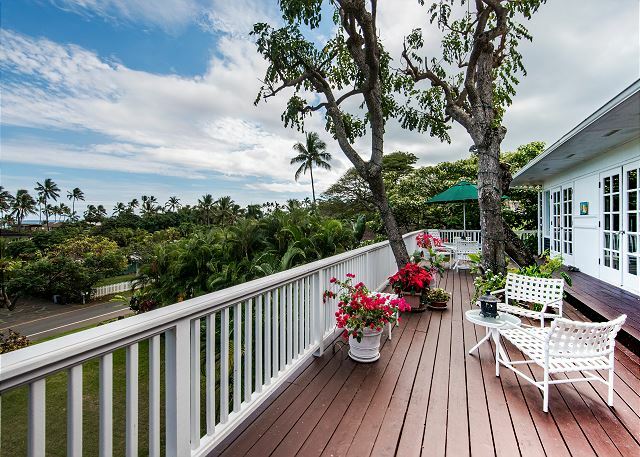 Beautiful view to the ocean right off the huge lanai patio. We spent our time walking to the beach, grilling on the deck and visiting the many hiking trails nearby. I was so sad to leave this place! I would definitely recommend this house to all. This beautiful house was perfect for our family of 4. The bedroom downstairs worked out great for our 17 year old. 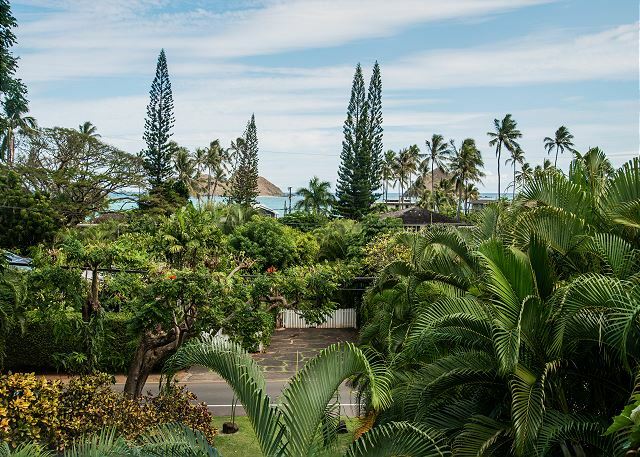 Waking up to the beautiful views from the master bedroom and patio was a paradise dream come true. 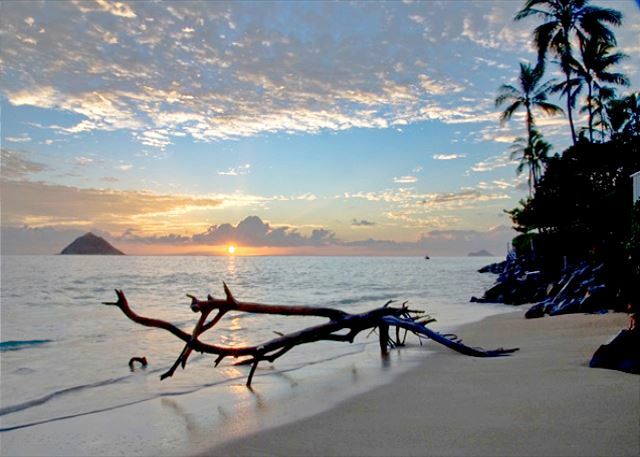 The access to Lanikai Beach was just a short walk away. We miss it there already and can't wait to go Back! 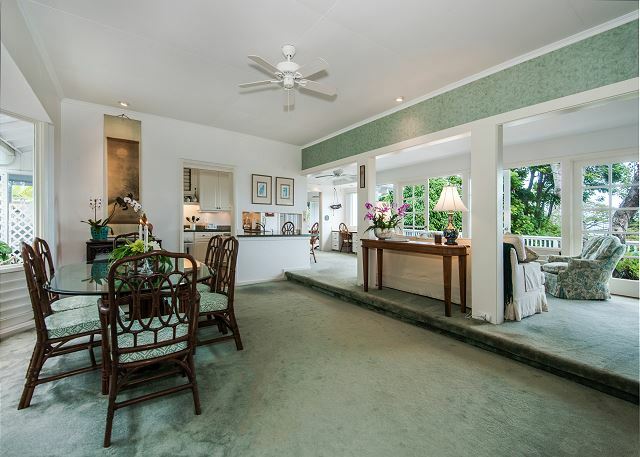 Overall the the Lanikai Tree House is a lovely rental. 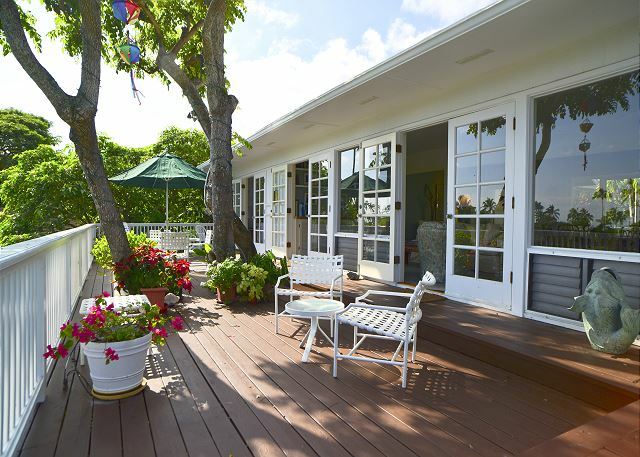 There is a very homey and comfortable atmosphere with a beautiful deck and pleasant views of the ocean. 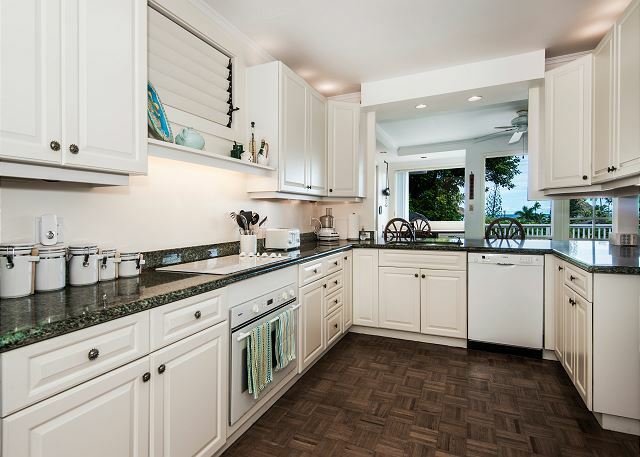 Great for cooking meals in the well stocked kitchen and BBQ grill on the deck. 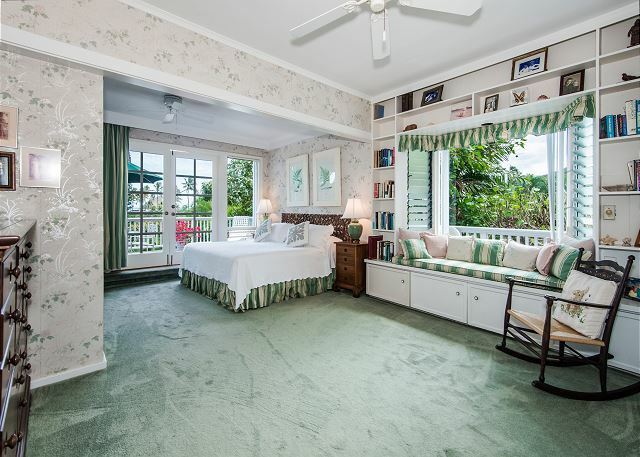 The master suite is large and airy with lots of storage for suitcases or clothing. There are just a few drawbacks that should be considered. 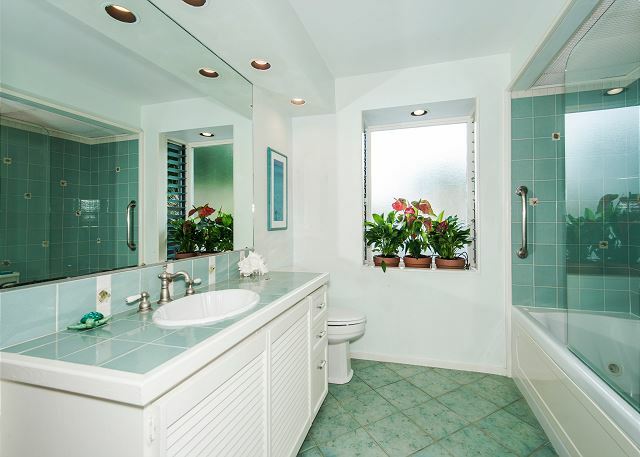 There is one bathroom on the main level and one on the lower level. This presented issues for our stay. The lower level bedroom also has the washer and dryer in it. Which is fine except the washer and dryer are actually exposed to the room and have the tv on top of them. Perhaps the washer and dryer could be enclosed? There were beach chairs and umbrellas provided under the porch for our use. This is nice except they were in bad shape...rusted metal frames and a broken umbrella was unusable altogether. We did not watch tv much during our stay however the tv in the master suite was very old and small. The screen was probably 14" and I think it was so old that it still had a video cassette built into the bottom of it. 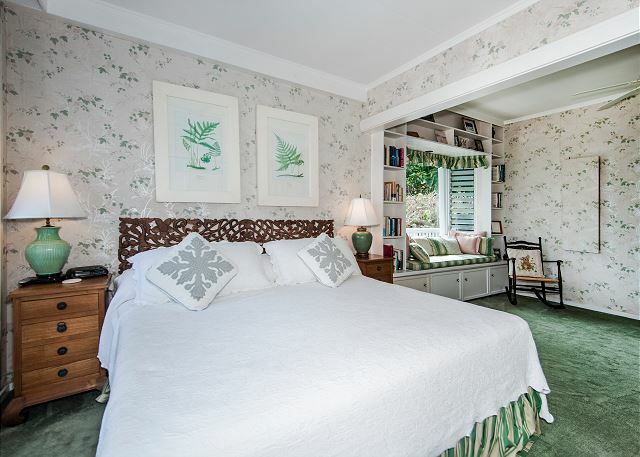 We could hardly see the picture from distance of the bed to where the tv is located in the closet. With the cost of new flat screen televisions it seems a shame not to include an updated tv for such a luxury rental. Finally, there is the issue of the CAT. There are pages in the welcome book that mention the cat and say that you can opt to feed him or not. Your option. The cat was there every day wanting to be fed and to come into the house. Since we had the doors open most of the time the cat would come in and out at his option. He has a very loud and demanding meow! I'm not sure what the solution is for this issue. But it warrants mentioning especially if anyone is allergic or just does not want to be bothered. we had a great time! the view from the Lanikai ocean tree house was breathtaking!! Donica was very helpful and efficient. Glad you and your family had a great time. 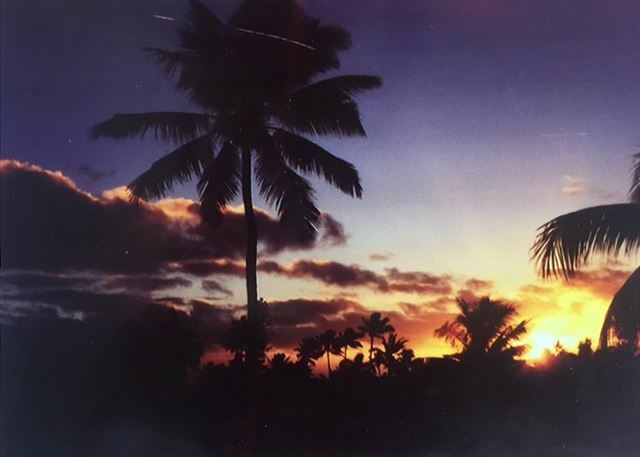 Thank you for choosing to stay at one of our properties here on Oahu. We look forward to your next stay. Lanikai Tree House was the perfect home away for us. The view from the deck was spectacular, and the trade winds brought us fabulous temperatures. We found it hard to tear ourselves away from the deck. One son and family from California joined us, and another son and family live in Lanikai, so we had 10 on the deck for dinner many nights. Great grill and loads of everything needed to serve meals. 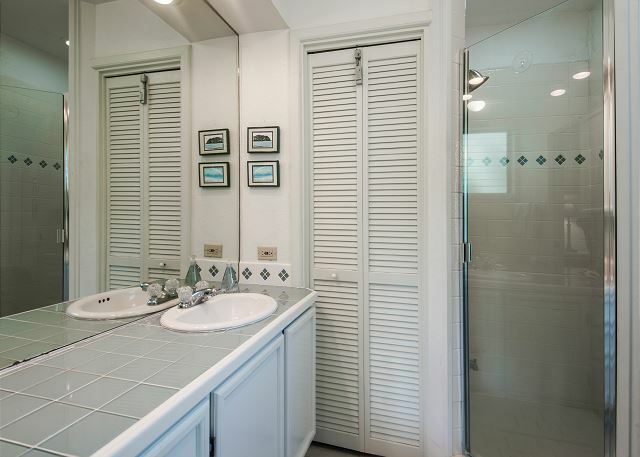 The property was spotless and well-maintained. 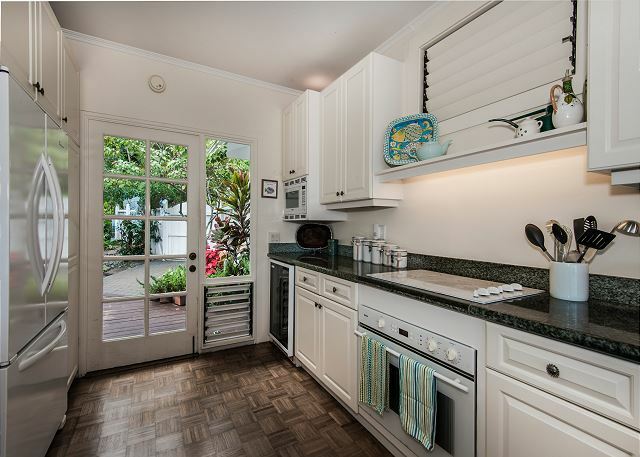 The kitchen was super, and extremely well-equipped. There were notebooks of information from the owner to help those unfamiliar with the island. 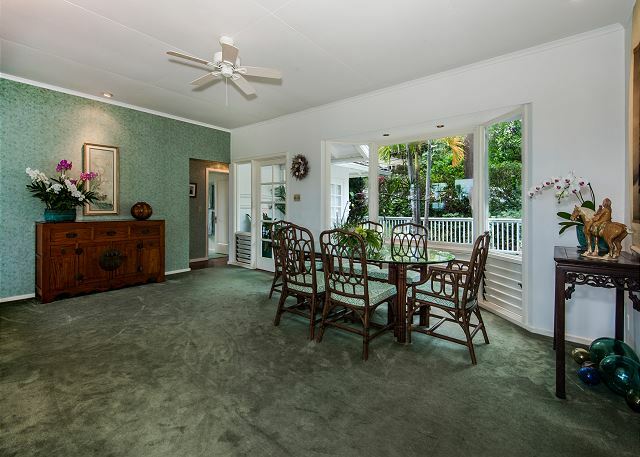 I would recommend this home to all but those expecting to walk to beach with young children. While ocean access is close by and an easy walk, there is no beach at that spot. Beach access is a long walk. Also, people with young children should be told about the bedroom arrangement. Master and one twin room are on main level, and one twin bedroom and bath are down a level - nice, but separate from others. 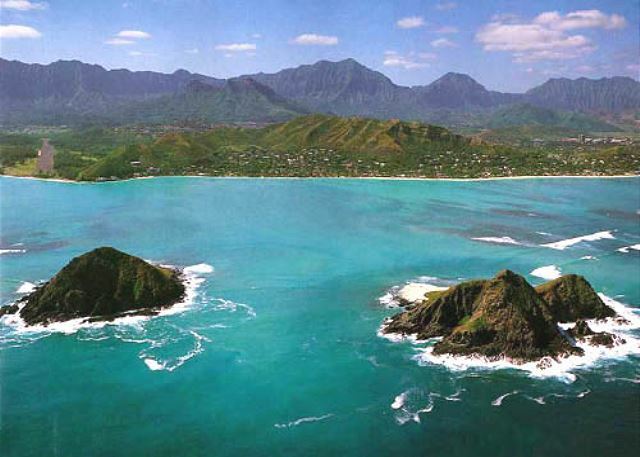 As past residents of Kailua, and current parents of a Lanikai resident, we have enjoyed all the attractions of Oahu. We were most excited to be on the deck watching sunrises from that spectacular vantage point. We liked breakfast at Zippy's and dinner at Buzz's, but found Lanikai Tree House the finest place to dine on Oahu!